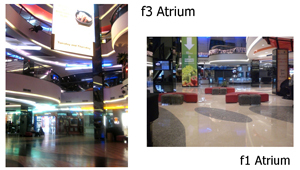 Indonesia with its rich culture & tradition as well as beautiful nature offers several spectacular tourist attractions. Making it a perfect holiday destination for both local and international tourists. However, most of the well-preserved sites are those in more isolated and less developed areas with minimum exposure as well. ¨Nowadays, many people have define traveling as a lifestyle not only for business but also for pleasure to enjoy and experience the natural wonders of Indonesia. Escaping from everyday routine for urban professional has became one of the main luxuries in life. 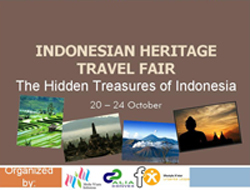 Therefore, there is no better time to promote and generate more domestic tourism by organizing Indonesian Heritage Travel Fair.